With fall, and football, right around the corner, I think that it is best that this blog begins living up to the second half of its title. 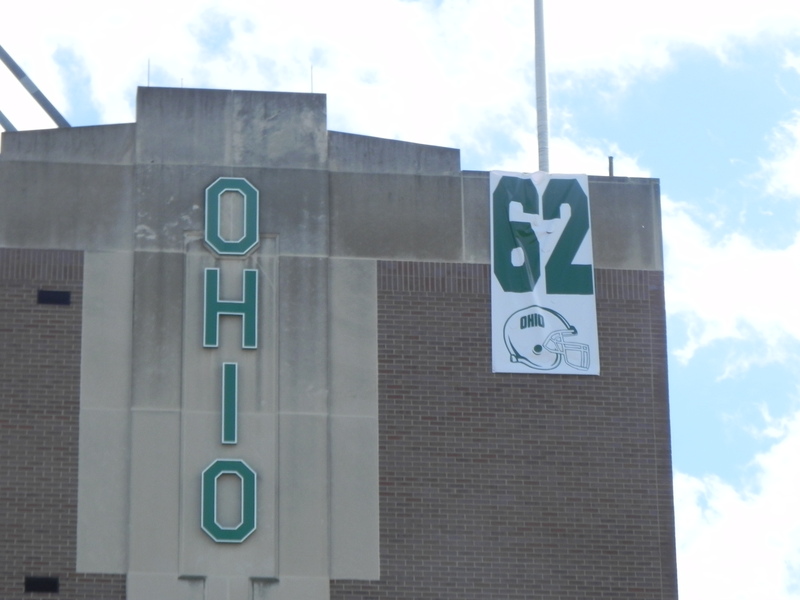 Going into the final week of the 2010 season, everything was going for the Ohio Bobcats. Here they were, in control of their own destiny just one win away against lowly Kent State away from making their second consecutive appearance in the MAC Championship game. Then it all fell apart. Left nursing the wounds from that final regular season game and an embarrassing showing against Troy in the New Orleans Bowl, the Bobcats must get off of the canvas and be ready for the 2011 campaign. Luckily for them, there are many things that point to the team seeing even better results this season. First, the ‘Cats face one of the easiest schedules in the entire country. They begin the year playing on the road at New Mexico State, a team that finished 1-7 in the WAC last season. Their “payday” game will be played at Rutgers, a team picked last in the conference’s preseason media poll. Assuming the Bobcats play to their potential, they could very well be in that game. Their only true tests on paper will be against Temple and Miami, two games that could very well decide the MAC East division. Luckily for the Bobcats, both of those games come at home. Another reason to be optimistic is the return of most of the offensive unit. Departed quarterback Boo Jackson will most likely be replaced by redshirt sophomore Tyler Tettleton. He is used to running the pistol formation since high school and looked very comfortable during spring practice. Wide Receivers Terrence McCrae and Steven Goulet will need to be replaced as well, however there are plenty of options at that position. The return of the entire offensive line will benefit the newcomers and should give Tettleton support. The return of All-American LaVon Brazil, known for his playmaking ability on special teams, after missing nearly all of 2010 will bolster this unit as well. If there is one area that the Bobcats could struggle in, it will be on the defensive side of the ball, primarily in the trenches. The Bobcats need to find four new defensive linemen. The squad will rely on linebackers Noah Keller and Eric Benjamin to pick up the slack. The secondary will also be very young and inexperienced, although some returnees from medical redshirts such as junior Gerald Moore will help. With all this in mind, the question becomes how many games will the team win? Given the fact they look just as good if not better than all of their opponents on paper 12-0 isn’t inconceivable, but running the table is hard to do no matter what the competition. A 10-2 mark looks much more realistic given the inexperience on defense and leaving room for inevitable injuries that may pop up during the season. Anything less than that could be viewed as a disappointment given the easy schedule. A return to Detroit for the MAC Championship game will hinge on their results against Temple and Miami and it will be very interesting to see how the team handles the pressure. This is a very exciting time for Ohio football, and it looks like 2011 could very well be remembered as the year it all came together. NOTE: I will be covering the team for MAC Report Online, so be on the lookout for my reports from Athens all season long! It was a sad day for Bobcat fans with the news that former nose tackle Marcellis Williamson had died Wednesday in Cleveland at the age of 23. I covered the story for Speakeasy Magazine. You can read about it HERE.